With the Freedom Ultralight Rollator, you can perform your daily routines without worrying about finding a place to rest. 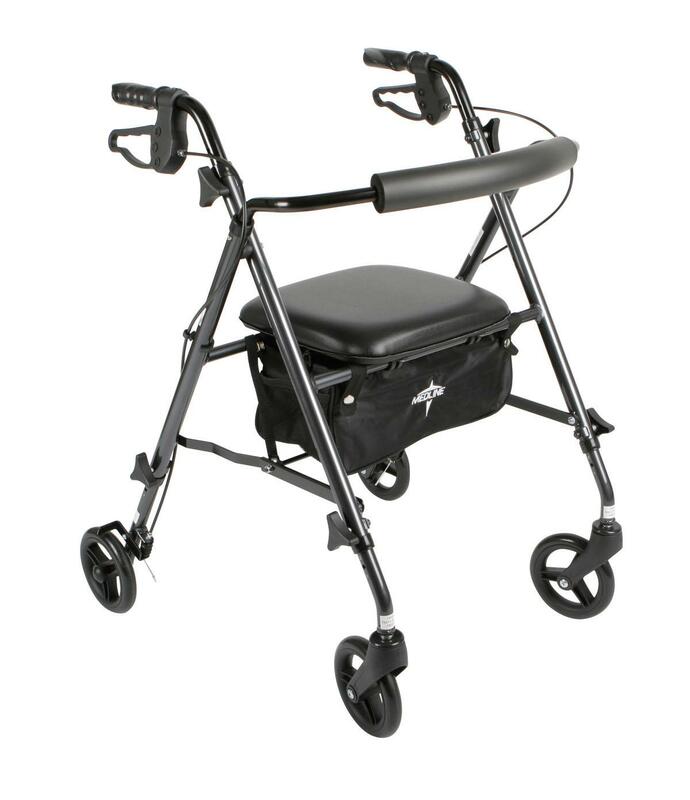 This walker rolls smoothly over rough terrain and is highly maneuverable. Features a great braking system, as well as a useful storage bag under the seat for your purse and other personal belongings. With a total weight of only 11 pounds, this lightweight rolling walker is easy to get in and out of the car. Folds and unfolds easily for hassle-free transport and storage. The long-lasting Freedom Rollator is easy to assemble, and both the arms and legs are adjustable to perfectly accommodate users that are 4' 11" to 6' 4". This sturdy, well-designed rollator walker will increase your comfort and mobility. Get your freedom back; buy the Freedom Rollator today. You'll be glad you did.